Software is an essential part of robotic systems. As robots and autonomous systems are more and more deployed in human environments, we need to use elaborate validation and verification techniques in order to gain a higher level of trust in our systems. 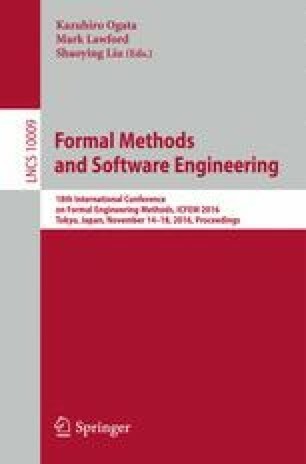 This motivates our determination to apply formal verification methods to robotics software. In this paper, we describe our results obtained using model-checking on the functional layer of an autonomous robot. We implement an automatic translation from GenoM, a robotics model-based software engineering framework, to the formal specification language Fiacre. This translation takes into account the semantics of the robotics middleware. TINA, our model-checking toolbox, can be used on the synthesized models to prove real-time properties of the functional modules implementation on the robot. We illustrate our approach using a realistic autonomous navigation example. This work was supported in part by the EU CPSE Labs project funded by the H2020 program under grant agreement No. 644400.